The linen mat with natural properties suppressing the development of bacteria and fungi, and regulating the moisture level. 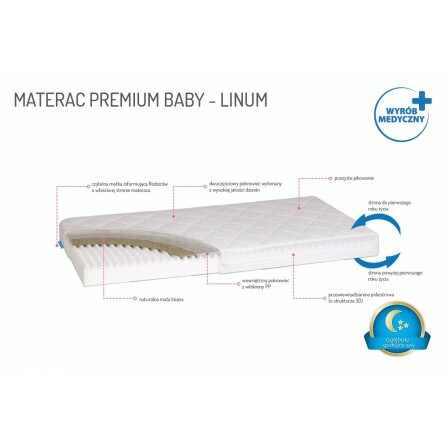 High quality polyurethane foam and linen mat on the side up to 1 year old form a mattress with two levels of firmness adjusted to the stages of your baby’s development. Linen has a soothing effect to ensure relaxing sleep. Dimensions: 120x60x10 cm 140x70x10 cm. during the first months of life the baby spends about 18 hours a day in bed? the baby grows and develops mainly during sleep? latex is one of the most popular known allergens? Novelty on the mattress market! The first mattresses with plant fibres that do not contain one of the most popular allergens - latex! Our mattress has a positive opinion of the Polish Institute of Mother and Child! A two-sided mattress with a linen pad. The plant pad helps limit the development of bacteria, fungi and moulds. Has a soothing effect and supports the proper regeneration of the body during sleep. Free circulation of the air which enables the constant inflow of the air to the baby’s body and the outflow of moisture from the mattress. Mattresses can be used on both sides: a firmer side which is intended for infants up to 1 year old, whereas soft side for toddlers over 1 year old. The fill of the mattress is equipped with the inner cover made of polypropylene (PP) fabric. 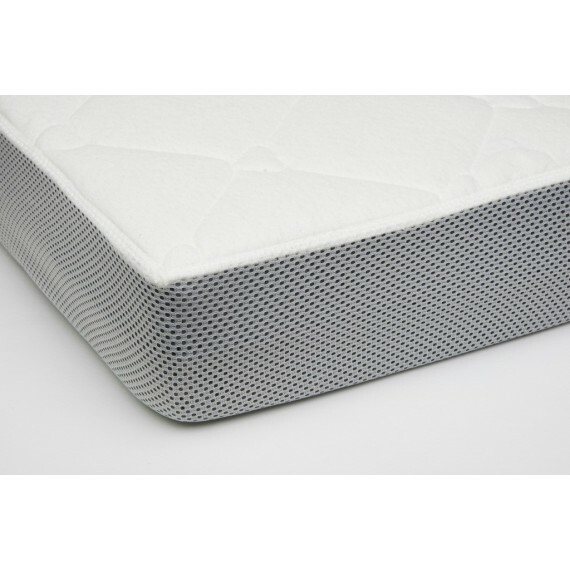 Removable cover quilted on both sides with side ventilation made of high-quality mattress fabrics. the fabric used has the “Oeko-Tex@Standard-100” certificate. with outer material made of pleasant to touch cotton. Material is resewing with polyester wadding on the basis made of polypropylene (PP) fabric. as support in sleep disorder prevention. 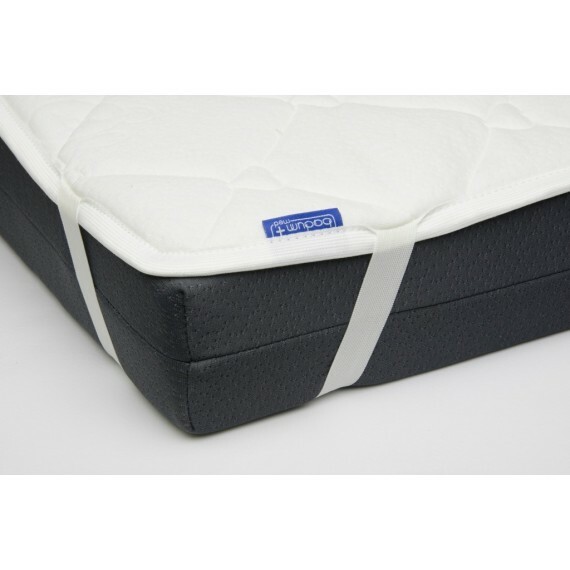 The mattress can also be used in early prevention in children with low risk of bedsore development. *) as one of the elements of multidirectional activities aimed at the limitation of exposure to allergens, particularly in allergic disease prevention, as well as the prevention in people affected by excessive reaction to aeroallergens and contact allergens.